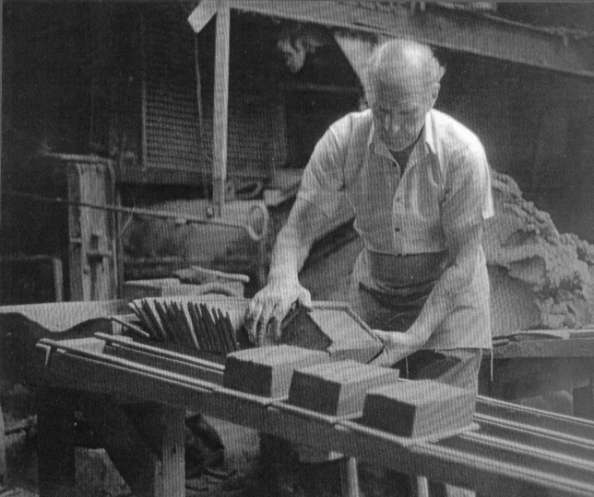 Arborfield's Whitehall Brick and Tile Works flourished from 1935 for many years, but eventually closed in 1995. The site is now occupied by the 'Badger's Mount' housing development. This brickworks was originally part of Whitehall Farm, and the old farmhouse, on the old Eversley Road to the west of Baird Road, has long been used for accommodation by the Army. (click on the photo on the left to see Caleb and his master, John Simonds). Details of the old site can be found in 'additions to the Hurst Tithe Apportionment Map' for the 1880's, held at the Berkshire Record Office. The portion of the 25 inch Ordnance Survey map of Arborfield shows the location of the old brickfield, south-east of Duck's Nest Farm. 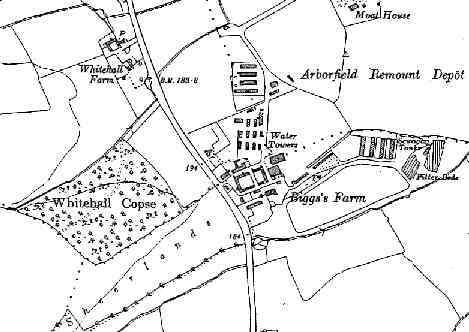 Even earlier, there was a brick kiln in Arborfield Parish at Elisha's Farm ; the triangle of woodland between the new church building and Reading Room Cottage is known as 'Brick Kiln Coppice'. In the 1841 Census (over 20 years before the church was built), 25-year-old William Barker was a 'Brickmaker', living at 'Brick Kiln'. It was probably in Church Lane, though we don't have quite enough information to locate this. 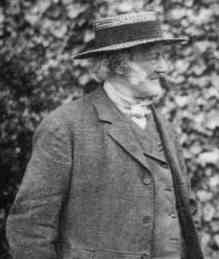 Was William Barker an ancestor of the Barker Brothers? That same year, 13-year-old John Giles was a 'Journeyman Brickmaker' lodging at 'Arborfield House Stables'. The following article on Whitehall Brick and Tile Works appeared in the 'Wokingham Times' in the 1970's, and is reproduced by acknowledgement. As industry moves into the computer age and becomes more and more mechanised, it’s reassuring to learn that there are still some crafts that a skilled worker can do better than a machine. The Whitehall Brick and Tile Works at Arborfield turns out about 30,000 hand-made bricks each week using a system which has not changed in its principle since Roman times. The firm was started in 1934 by two brothers, Arthur (65) and Oliver (63) Barker. Before this, they had worked for their father, who was manager at the former Toutley brickworks at Wokingham. He retired, but his knowledge and experience proved invaluable to his sons. He, in turn, had had his father and grandfather to call on, as they were also in the trade. Because theirs is an old trade, it doesn’t mean they are unaware of modern business methods. Some years ago, in keeping with the trend, they called in some time and motion experts. They suggested that magical formula which all time and motion experts adhere to – ‘mechanise’. So, at great expense, the brothers bought two moulding machines, only to discover that production slowed and there were a lot of grumbles from the old workers, who had been moulding by hand all their lives. The machines were thrown out and production soared again. "The experts asked me", said Oliver, "what one man could do with just one pair of hands, so I told them. I said 'take Arthur Bishop (one of the workmen) – he makes over 1,000 bricks every day. He has been doing that for the twenty years he has been with us. Or, to put it another way, he has already built a town with his own hands’ ". 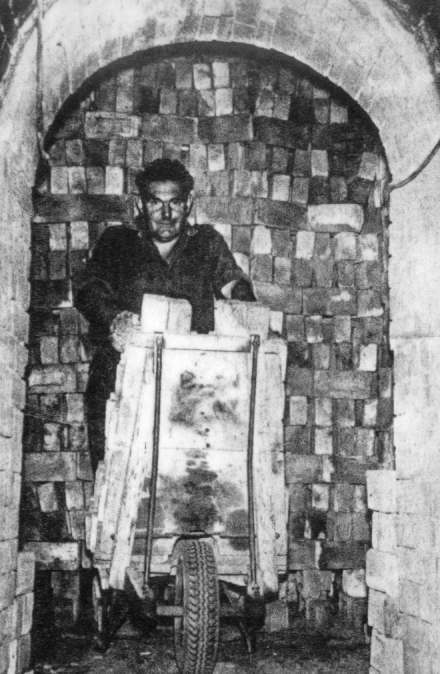 They also tried forklift trucks for carrying and stacking the bricks, but it was found that, in the confined space, the men worked faster with their wheelbarrows. The only concession they make to the new age is the mechanical digger to get the clay out of the ground and the machine which takes the stones out. When the business started, in the words of Oliver Barker … "Times were bad, but we got stuck in and we have been fortunate in having a loyal and efficient workforce over the years". They built the Works where they knew the clay beds were. How did they know it wouldn’t just peter out after a couple of years? "Well, my father had a sort of instinct for it and he knew which way the clay beds would run". They now know that the clay goes down for 300 feet. After the War, there were forty men working at the brickworks, but now there are only twelve. This is not because the business is bad – on the contrary, it is better than it has ever been. "I think the trouble is that the type of work doesn’t seem to appeal to the youngsters, although financially it’s as good as any job". The youngest of the workmen is 45 and for most of them, it’s the only job they have ever had, apart from a break in the Army. "I feel the business will die out with us, but there will always be a need for hand-made bricks. I can’t see anyone taking it over. We all make a comfortable living, but there is no easy money. Everything you get you have to work for. I think there will be a great reversion back to the skills and crafts, because to make something of quality gives people more satisfaction. To make something that is beautiful outweighs the financial gain". "An indication of this can be seen in the young children. A lot come and visit the works. They get the clay from us and the models they make they send back to us for firing. Some of the stuff is very good, even from the elementary schools". Some people may wonder why it is necessary to have hand-made brick. What is wrong with the ordinary sort? Well, one obvious reason is that the ordinary standard mass-produced brick would look very out of place in a 15th century cottage someone is repairing or adding to. Hand-made bricks are “made to measure”. Anything but standard bricks have to be matched up. This takes time and skill. Also the ‘fancy’ bricks can only be made by hand. These are the ornate carved bricks which adorn many old buildings. Sometimes only one brick of a certain type is needed. In such a case, a special mould would have to be made. Another reason for the demand for hand-made bricks is simply the quality. An ordinary brick could be compared to a loaf of bread with only the outside cooked. To speed the process up, they are compressed together and just given a quick firing. To make them look good, artificial colouring is added to the outside. A hand-made brick is not compressed at all, but fired slowly for more than 48 hours. After this, it is truly "cooked". It will not chip or flake like an ordinary brick. At Arborfield, they have three beehive, downdraught-type kilns which reach temperatures of 1,000 degrees Fahrenheit. They can each hold about 25,000 bricks, but, as Oliver Barker says: "nature never did anything in straight lines; it’s all angles. There are no cubes like modern architecture, in nature". He refers to many of today’s housing schemes as "sardine cans". 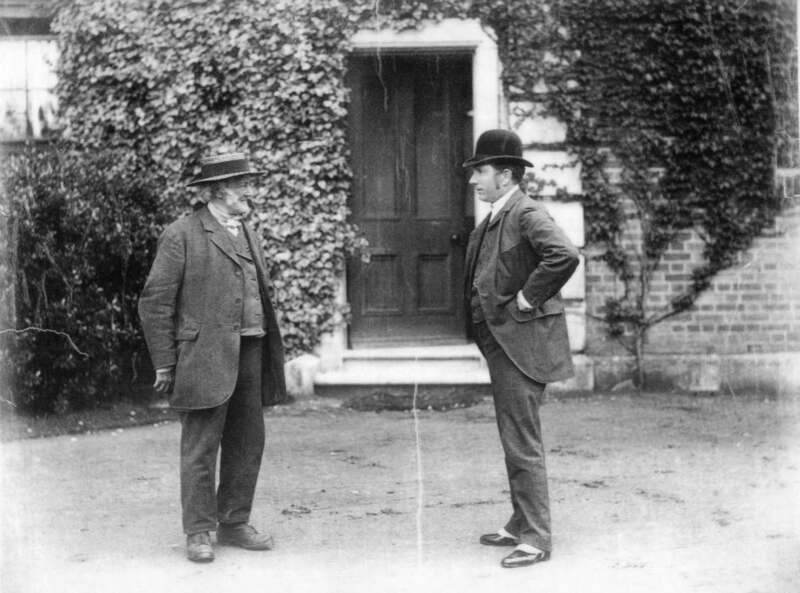 Oliver Barker travelled from Knowl Hill, while Arthur Barker lived on the site. The clay pit was later filled with refuse, and is now capped and vented to let out the methane gas inevitably produced by a landfill site. The covered grassy knoll is now public open space on the ‘Badger’s Mount’ estate. The brick-making implements have been presented to the Museum of English Rural Life in Reading, where they can be seen. The area covered by the brickworks is shown in the lower left corner of this 1930's 6" Ordnance Survey map of Arborfield. Whitehall Farm is at the top, while 'Sheerlands' is at the bottom. The Remount Depot was self-contained, and had its own sewage farm. When the Depot was replaced by the Army Technical School and R.E.M.E depot, the number of buildings grew enormously, as shown in aerial photos of the Garrison from 1946. Development at Arborfield – Minister of Transport’s Decision - The Minister of Transport has now given his decision on an appeal which formed the subject of a public enquiry at the Wokingham Rural District Council offices, Barkham Road, Wokingham, on May 10th. The appeal was made on behalf of Messrs. O. and A. Barker against a decision of the Berkshire County Council, who refused consent to the erection of a petrol filling station, shop, and dwelling-houses on land adjoining the Reading – Eversley Road at Arborfield, and to the construction of means of access from the land to the road. and would not constitute well-planned development. and accordingly has decided to make no order in the matter." [In other words, the Barker brothers could apply to build a filling station, shop and houses. As it happened, some houses were erected on what is now Sheerlands Road, but the filling station and shop were never built. Much more recently, a couple of Sheerlands Road houses with very long gardens were demolished to make way for Gerring Close, named after the manager of the Whitehall Brick and Tile Works]. 'Housing of Brickwork Employees'. 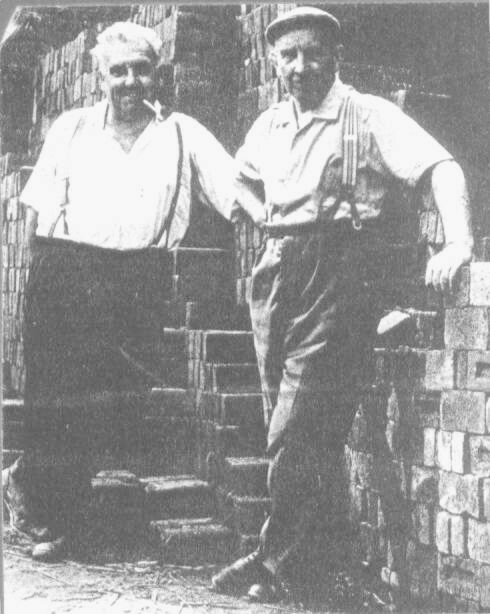 The building industry needed huge volumes of bricks, and there were requests for permission to erect housing for brickwork employees at Knowl Hill and another 4 houses at Whitehall Brick & Tile Works in Arborfield. It was resolved to offer accommodation at huts at Arborfield Hall Camp.